Even the healthiest among us realize that cardio-metabolic wellness is a top concern with aging. Cardiovascular fitness requires a multifactorial approach that includes a healthy diet and lifestyle. Conventional medicine often includes commonly prescribed life-long medications to treat or improve symptoms of cardiovascular conditions, such as high blood pressure, inadequate blood flow, chest pain and abnormal heart beat. Anticoagulants, cholesterol-lowering drugs, diuretics, vasodilators, beta blockers and ACE inhibitors will often produce desired results, frequently accompanied by side effects. As well, consumers are reaching out for clinically validated, high quality nutritional supplements to complement a holistic approach to cardiac wellness and long-term overall health. A hard working muscle, the heart is tasked with pumping oxygen and nutrient-rich blood through the circulatory system to all areas of the body. 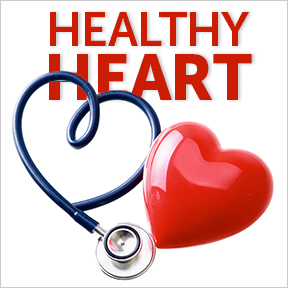 As such, heart health depends upon a strong network of blood vessels. Factors that contribute to a high risk of cardiovascular disease include smoking, obesity, chronic stress, sedentary lifestyle and inadequate nutrition. Conditions associated with cardiovascular disease include: atherosclerosis, a condition in which cholesterol-rich plaque builds up along arterial walls; insulin resistance, which plays a role in regulating inflammation and is a precursor to developing type 2 diabetes; high homocysteine levels, which can contribute to plaque formation and arterial wall damage; and angina pectoris, chest pain that can occur when there is a dramatic decrease of blood flow to the heart. In addition to a healthy lifestyle, clinically validated supplements can support healthy heart and overall function. Coenzyme Q10 (CoQ10): CoQ10 is regarded as one of the most important nutrients for cardiovascular disease prevention. Health conditions such as heart disease and diabetes have been linked to low levels of CoQ10. Naturally produced by the body, CoQ10 aids the mitochondria, the cellular powerhouses involved in energy production that supports optimal overall and healthy muscle functioning. A powerful antioxidant, CoQ10 helps to prevent LDL cholesterol oxidation, as well as free radical cellular damage. With aging, the body’s production of this important compound declines. In studies, CoQ10, or its reduced form ubiquinol, may improve heart function, increase energy production and limit oxidative damage. CoQ10 may also increase insulin sensitivity, regulate blood sugar levels and reduce inflammation. Omega-3 essential fatty acids: Fatty fish and fish oil supplements have proven to be an effective preventive strategy against heart disease. Science supports omega-3 intake to help maintain healthy blood pressure and cholesterol levels. Omega-3’s are healthy fats that may minimize inflammation, lower triglyceride levels, increase good HDL cholesterol and support blood vessel health. B-complex vitamins: High levels of homocysteine are linked to early development of heart disease and arterial damage. Homocysteine is an amino acid that results from the breakdown of dietary protein. High homocysteine is linked to inadequate intake of vitamins B6 and B12, cofactors in the conversion of homocysteine to methionine, necessary for cellular reactions. Stress can also increase the need for B6 and B12. Alpha Lipoic Acid (ALA): Manufactured by the body, ALA is sometimes referred to as the “universal antioxidant,” as it is both water and fat soluble. Found naturally in every cell, ALA affects every organ, including the heart. ALA converts glucose into the energy needed for bodily functions and may improve blood sugar control, as well as cellular insulin response. As an antioxidant and anti-inflammatory, it may prevent DNA damage, as well as protect against oxidation of LDL cholesterol, plaque build-up and atherosclerosis. Garlic: Used traditionally for centuries, modern science has confirmed beneficial health effects associated garlic. Highly nutritious, garlic may improve blood pressure and reduce total and LDL cholesterol, risk factors for heart disease. Its antioxidant properties help protect against cellular damage, a common cause of chronic disease. For those concerned about garlic’s pungent odor, garlic intake may be easily increased with odorless garlic supplements. Magnesium: A natural calming nutrient, magnesium dilates the arteries, potentially lowering blood pressure and improving blood flow. It serves as a cofactor for hundreds of enzymatic processes and is considered essential for proper cardiovascular function. Magnesium aids healthy sleep, which can help reduce stress, and supports healthy blood sugar levels, a major concern of diabetes and metabolic syndrome. Inadequate magnesium intake is associated with an increased risk of heart attacks, strokes and arrhythmias. Ideally, cardio-metabolic wellness begins with a lifelong journey of healthy choices and an active lifestyle. For those in mid-life who are not physically fit, it’s not too late to improve future health and reverse the beginnings of heart damage, as becoming physically active has a high impact on heart health. A recent study published in the journal, Circulation, involving individual in their early 50s, found that high and moderate intensity exercise four to five times each week improved heart elasticity, as well as oxygen uptake. Regular exercise can help to lower blood pressure, control cholesterol, reduce blood sugar and maintain weight, all contributing factors for a healthy heart. CoQ10 100 mg by Professional Supplement Center®: ON SALE Each serving provides 100 mg of highly bioavailable CoQ10 as ubiquinone in support of cardiovascular, periodontal, immune and liver health. Gluten free, Non-GMO vegetarian formulation. Alpha Lipoic Acid 200 mg by Pure Encapsulations®: Alpha Lipoic Acid helps maintain healthy glucose metabolism, supports the nervous system and provides nutritional support for metabolic processes. Gluten free, Non-GMO, hypoallergenic vegan formulation. Garlic 6000 by Vital Nutrients: These enteric coated garlic caplets support the maintenance of healthy cardiovascular and immune systems, as well as help sustain cholesterol levels already within the normal range. Gluten, dairy, soy, egg and sugar free formulation. Chelated Magnesium by Douglas Laboratories®: Each tablet provides 100 mg of elemental magnesium as magnesium amino acid chelate in support of cardiac health and skeletal muscle physiology. Yeast, wheat, gluten, soy protein, milk/dairy, corn, sodium, sugar, starch and artificial ingredient free, vegan formulation. Omega Pro-D by Professional Supplement Center®: ON SALE Omega Pro-D provides 1000 IU of highly bioavailable vitamin D3 as cholecalciferol blended with pure, wild-sourced, molecularly distilled omega-3 essential fatty acids in support of immune and neurological function, as well as cardiovascular, joint and skin health. Gluten free and soy free, Non-GMO formulation. Posted on April 13, 2017 | Comments Off on Arthritis is a Pain! Literally meaning joint inflammation, arthritis is a general term used for more than 100 different rheumatic diseases and conditions that relate to joint pain or joint disease. Now considered a common ailment, especially among women and those advancing in years, doctor-diagnosed arthritis affects approximately 54.4 million American adults, a number expected to rise to 78 million by 2040. Symptoms of pain, stiffness and swelling in and around the joints and surrounding tissues, as well as loss of mobility and reduced joint flexibility, may develop gradually or suddenly, may be mild, moderate or severe, and may come and go with periods of time between flare-ups. Osteoarthritis (OA) is an often painful, degenerative joint disease that can affect the hips, knees, neck, lower back and smaller knuckle joints. OA generally begins with the gradual deterioration of cartilage, the strong and flexible fibrous connective tissue that cushions the joints, absorbs shock, and allows for bones to glide over each other with movement. Over time, cartilage breakdown leads to joint damage and loss of the synovial fluid that lubricates the joint, resulting in bone-on-bone friction, pain, and inflammation. Initial signs of OA might include morning joint stiffness that lessens with movement, or joint pain after exercise or strenuous activity. Osteoarthritis may develop with aging, sports participation, repetitive overuse or joint stress resulting from injury or obesity. Rheumatoid arthritis (RA) is an inflammatory autoimmune disorder in which the body releases enzymes that attack joint linings, causing swelling, pain, stiffness, and malformation, as well as reduced movement and loss of functionality. This abnormal immune response plays a leading role in the inflammation and joint damage that occurs. RA often affects the fingers, thumbs, wrists, elbows, shoulders, knees, ankles and feet. Because RA causes high levels of systemic inflammation, it can affect organ and body systems, resulting in symptoms of dry eye, eye sensitivity and irritation, dry mouth, gum irritation or infection, inflammation of the blood vessels and lungs, anemia and skin nodules. As there is no cure, RA must be managed to target remission, control pain and fatigue, and prevent damage to joints and tissues. Typically, a combination of medication, exercise, lifestyle changes, and an anti-inflammatory diet high in omega-3 essential fatty acids, are recommended protocols for treatment. Gout is another form of inflammatory arthritis that causes extremely painful joint inflammation, largely affecting the big toe. Gout occurs when the body produces an excess of uric acid or is unable to eliminate it quickly enough. Initially symptomless, when the blood level of uric acid is high, sharp needle-like crystals can begin to form in the joint. A gout attack generally occurs suddenly without warning, causing an episode of severe pain, tenderness, warmth and swelling that may last for up to a week or longer. Certain health conditions, including high blood pressure, high cholesterol, diabetes and heart disease may contribute to a higher risk of gout. Although some will experience chronic gout flares, lifestyle and dietary changes can help with reducing interval flare-ups. Avoiding red and organ meats, shellfish, excessive alcohol, and fructose sweetened drinks can help reduce gout risk. Following a life-long heart healthy diet, maintaining a healthy weight, and engaging in physical activity are important strategies for uric acid reduction and gout management. Hyaluronic Acid – Hyaluronic acid is found in all connective tissues and is a major component of cartilage and synovial fluid that surrounds the joints. It’s hyaluronic acid that retains the moisture that lubricates and protects cartilage. 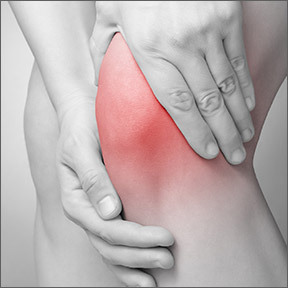 Research has shown that hyaluronic acid helps to relieve achy joints. MSM (Methylsulfonylmethane) – This organic sulfur compound, found naturally in fruits, vegetables, and grains, is an important building block for healthy bones and joints. Evidence shows that MSM may have a moderate effect in improving joint pain and swelling and may improve general functional wellbeing in those with OA. Omega-3 Essential Fatty Acids – EPA and DHA essential fatty acids found in cold water fish block powerful inflammatory cytokines and provide anti-inflammatory compounds that protect against inflammatory conditions, including arthritis, heart disease, and high blood pressure. According to the Arthritis Foundation, extensively studied omega-3’s significantly decrease joint tenderness and stiffness. Bromelain – Found naturally in pineapple, bromelain has been shown to cause uric acid crystals to decompose, helping to relieve pain associated with gout. Taken regularly as a supplement, bromelain can help reduce swelling, pain and tenderness and may also help prevent future attacks. Spices – Turmeric and ginger contain natural anti-inflammatory and pain relieving compounds. Applied topically, capsaicin provides pain relief and helps to temporarily reduce bodily chemicals that contribute to inflammation. As always, if you pregnant, taking medications or have a medical condition, please consult your healthcare provider before beginning a supplement regimen. Professional Supplement Center carries many high quality supplements to support a healthy inflammatory response and overall health. Bromelain-5000 by Douglas Laboratories: Obtained from pineapple, bromelain is a blend of enzymes shown to support a healthy inflammatory response, aid digestion, and promote muscle and joint comfort. Gluten, soy, wheat, and dairy free. Uric Acid Formula by Pure Encapsulations®: This formula provides vitamins and botanicals to support healthy uric acid metabolism by promoting healthy liver enzyme activity, immune mediator activity and alkalization. Gluten and soy free, Non-GMO vegetarian formulation. ON SALE Advanced Bio-Curcumin® with Ginger Tumerones by Life Extension: Formulated with BCM-95® Bio-Curcumin®, standardized ginger extracts, turmeric oil compounds and phospholipids, this highly absorbable formula promotes a healthy inflammatory response by inhibiting key inflammatory factors. ON SALE Hyaluronic Acid by Olympian Labs: This product provides a blend of hyaluronic acid and BioCell collagen in support of properly hydrated joints and skin. Soy free formulation. MSM by Pure Encapsulations: Well known for maintaining connective tissue heath, MSM is a source of organic sulfur, which supports healthy joint function as well as hair, skin and nails. Gluten and soy free, Non-GMO vegetarian formulation. ON SALE Hyaluronic Acid with MSM by Now Foods: This product provides hyaluronic acid as well as MSM in support of connective tissue and joint lubrication and shock absorption. Gluten, soy, wheat, yeast, and milk free. ON SALE ProOmega Lemon 1000 mg by Nordic Naturals: This popular product provides high potency omega-3 fatty acids derived from purified deep sea fish oil. Shown to clinically support cardiovascular health and the body’s natural anti-inflammatory response, this double strength formula is guaranteed to be fresh and pure. Gluten free, Non-GMO formulation. Comments Off on Arthritis is a Pain! Vision fluctuation – Vision that fluctuates throughout the day can be attributed to several causes, including general fatigue, eye muscle spasms resulting from intense focusing for an extended period, or progressing presbyopia, a common age-related inability to focus on near items, such as a newspaper or menu, especially in dim light. 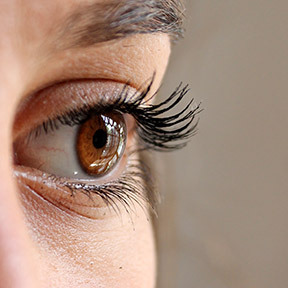 Eye floaters and flashes of bright light – Specks or thread-like images that appear in the field of vision are generally harmless and may become less noticeable with time. Floaters indicate that the vitreous humor, a gel-like substance that makes up a large majority of the eye behind the lens, is slowly shrinking with age, creating strands that cast their shadows on the retina. Flashing occurs when the vitreous gel tugs or bumps the retina. Although floaters and flashers can be annoying, they are generally considered harmless. However, a new onset of floaters or increased flashes can signal more serious vision problems, such as retinal detachment or a retinal tear, requiring a visit to your ophthalmologist as soon as possible. Loss of peripheral vision – Peripheral or side vision is the ability to see movement and objects located outside your central or direct line of vision. Also known as tunnel vision, loss of wide angle vison is commonly the result of optic nerve damage, resulting from glaucoma, a detached retina, brain or neurological damage or a head injury. Distorted images – Wavy or blurred images or loss of central vision may be signs of age-related macular degeneration, the leading cause of vision loss among adults aged 50 and older. Although there are exceptions, macular degeneration generally progresses slowly. The greatest risk factor is aging, making regular comprehensive eye exams crucial for seniors. Additional risk factors include diabetes, genetics, and side effects of medications taken for chronic conditions. A colorful and varied diet, rich in omega-3 fats, whole fruits and dark green leafy vegetables is emphasized for eye, vision and overall health. As well, protecting your eyes from ultraviolet light, avoiding smoking, reducing screen related eye strain, exercising regularly, and maintaining a healthy weight along with normal blood pressure and cholesterol levels, may help to prevent macular degeneration or slow its progression. Age Related Eye Disease (ARED) studies revealed that antioxidant multivitamins can help to protect against progression to advanced stages of macular degeneration in those who have been diagnosed with the condition. Poor diet resulting in inadequate nutrition is associated with many serious health conditions including vision loss. Research shows that vitamins and nutrients that help reduce inflammation and control oxidative stress are beneficial for maintaining eye and vision health and may offer protection from degenerative diseases, including macular degeneration and cataracts. Vitamin A promotes good vision, especially in low light. Well known for its supportive role in healthy vision and prevention of night blindness, vitamin A helps to protect the cornea and mucous membranes of the eye surface, helping to reduce the risk of eye infections. B Complex vitamins help to reduce chronic inflammation and elevated homocysteine levels associated with retinal vascular problems. B vitamins may also help reduce the risk of macular degeneration. Vitamin C has powerful antioxidant properties that help protect the eye lens by preventing oxidation, which can result in a clouded lens associated with cataract formation. Vitamin D sufficiency is associated with a lower risk of macular degeneration, while a deficiency is strongly associated with dry eye and its level of severity. Lutein and zeaxanthin are carotenoids that are found in the eyes. Many studies have shown that lutein and zeaxanthin support eye health and reduce the risk of chronic eye diseases, including cataracts and macular degeneration. Omega-3 essential fatty acids, DHA and EPA, are among the most important nutrients for proper visual development, retinal function, and life-long eye maintenance. DHA is found in the highest concentration in the retina. Omega-3 deficiency is linked to dry eye syndrome, diabetic retinopathy and age related macular degeneration. Essential fatty acids help to restore and maintain tear formation and eye lubrication. Bioflavonoids are pigments responsible for giving plants, fruits and vegetables their vibrant colors. These biologically active antioxidant and anti-inflammatory compounds aid the absorption of vitamin C, help increase antioxidant efficiency, and support capillary health, including eye capillaries. Vision Protect™ by LuxVite Naturals – Ophthalmologist formulated with ingredients based on the ARED2 study, Vision Protect™ contains antioxidant vitamins, B vitamins, lutein, and zeaxanthin, providing eye health support for macular degeneration. Gluten free, vegetarian formulation. Doctor’s Choice™ Eye Formula by Enzymatic Therapy – This vitamin, mineral and botanical formula provides comprehensive nutritional support for eye health and healthy vision. Gluten and dairy free formulation. ON SALE ProDHA Eye® by Nordic Naturals – This synergistic blend of purified pharmaceutical-grade fish oil provides a high concentration of DHA, plus antioxidant vitamin E, lutein, and zeaxanthin in support of healthy vision and moisture levels, as well as age-related oxidative damage protection. Gluten and dairy free, Non-GMO formulation. Eye and Body Complete™ by BioSyntrx – This full-spectrum, balanced, whole body nutritional formula provides superior active ingredients to support vision function, macular and retinal health, and address vascular-related inflammatory diseases of the body and retina. Lutein/Zeaxanthin by Pure Encapsulations – This formula provides a high strength carotenoid blend of lutein and zeaxanthin to specifically support the macula and overall vision health and function. Gluten and soy free, Non-GMO vegetarian formulation.